Tal, a mother of eight, who leads Jerusalem based ministry 'Dor Haba' (which means Next Generation in Hebrew), believes God is raising up an army of young people and children in the city to watch and pray like never before. "I believe...that worship and prayer are on the increase world-wide. I believe God is waking up his body, his bride, to watch and pray in preparation for His return." shared Tal, "He is restoring the Tabernacle of David (24-7 worship and prayer) in our day and age in order to prepare the ground for His gospel to go to the ends of the earth and in order to prepare for His return. As a mum, I see it much like the transition stage of labour, during the birth of a baby. At a certain point the contractions (prayer, worship, intercession) get so close together until finally during the "transition" stage of labour, the mother finds the contractions have become one constant contraction/groaning that doesn't let up until the actual pushing and birthing of the baby. After the transition period, the baby comes out quite quickly. To me this is a picture of persistent worship and prayer (24/7) birthing the harvest and return of Yeshua (Jesus)." "The older generation has had a real revelation of the power and importance of prayer and the meaning of intercession. The prayer movement has been going for a while and we've seen various breakthroughs, outpourings and awakenings. But I believe that for what's coming, much more is needed. Consistent, persistent, continual prayer and intercession rising up to the throne of the Father is what He desires. A "transition" period. 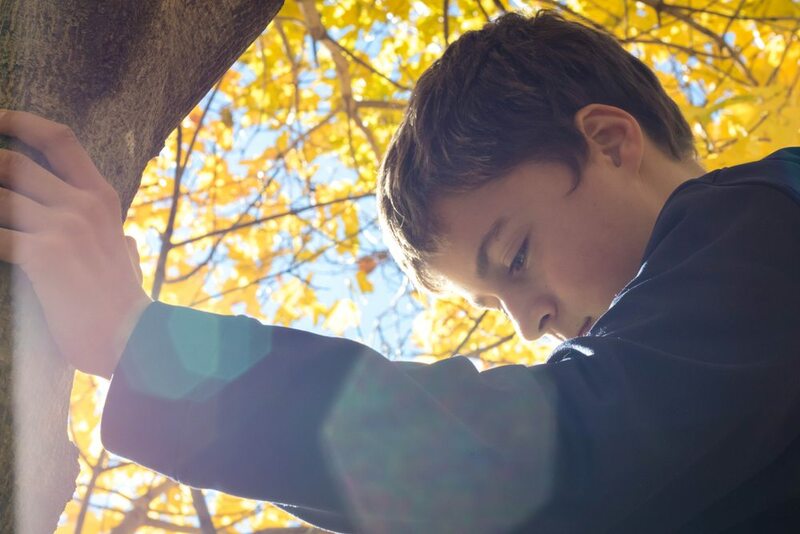 I believe He is raising up this younger generation now, as young as babies, toddlers, and young kids up to teenagers and young adults to carry this mantle of prayer but in an intensified way, preparing for what God is planning to unfold in the earth. It's time that these young priests, psalmists, intercessors and prophets rise up! This is what we are praying for and working towards here in Jerusalem... through Dor Haba, along with many others all around the world who are simultaneously sensing this same need and urgency. And Halleluyah! It is something God has already begun doing here in the hearts of kids, teenagers and young people. "There are more and more weekly hours in the prayer room that are being filled by children and youth. Every Monday after school, my 15-year-old son leads an hour of worship with 2 of his best friends. It is something that they themselves wanted to do! Every Tuesday afternoon for an hour, 4-8 yr. olds gather to worship and pray into the 10/40 window and Isaiah 19 Highway countries. We're taking 3-4 weeks on each country, learning about the country and learning how to pray for God's purposes there. So this last week there were about 14 Messianic Jewish kids in Israel praying for Egypt! A 6-yr old girl began singing, "Shine your light in Egypt." It was so beautiful! "The 8-12 year olds lead an hour of worship mixed with prayers and scriptures immediately following the younger watch. There are some new ones who are just learning piano or guitar who have begun leading this year and are doing a great job! The worship leaders from the kids watch last year have moved up to the middle-schooler's watch (13-14 yr. olds) which happens on Wednesdays from 3-5pm. The older teens (15-19) lead an hour of worship and the word from 6-7 on Tuesdays, then we do an hour of teaching and they finish up by leading an hour of worship and intercession from 8-9pm. Two weeks ago, after their worship time we took them all out by two's and three's to go pray for healing for people on the streets. We appreciate your prayers for these "watches" It's a bumpy road since they are young and just learning, but it is so beautiful to see and hear their hearts! 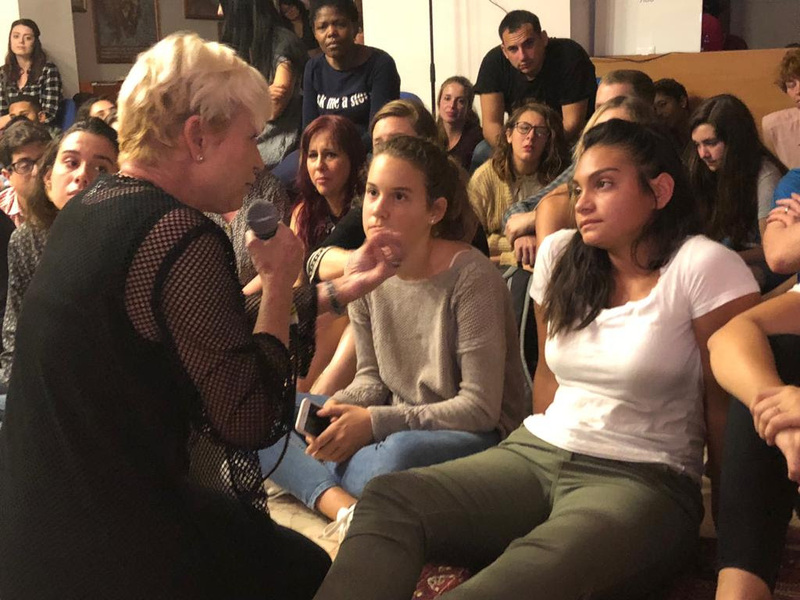 Recently, Dor Haba also hosted several national worship evenings for young Messianic Jewish and Arab believers - one with International worshipper Eddie James and one with Heidi Baker. Tal shares, "Eddie James came to Succat Hallel to do worship there with his team of young people from the USA. They shared some powerful testimonies and sang some amazing, original songs they've written along with dancing. Arab and Jewish youth from all over the country came, also from the West Bank. I must say the most powerful time was when we all sang Reckless Love and No Longer slaves together acoustically. The Holy Spirit was just really present, unifying our hearts. Before Eddie and his team went up, the Arab and Jewish youth team that formed at the last Dor Haba worship camp, did worship and it was just beautiful and powerful. I think God was happy seeing His dear ones worship Him together in one voice. "A few weeks later, Heidi Baker came with her discipleship school students to bless our youth and worship with us. It was just a very precious time. The Hebrew youth worship team from the Tuesday Youth Watch at Succat Hallel led worship first to start off the evening. Heidi had brought a worship team, who were supposed to lead worship before Heidi spoke. But Heidi and her team loved the Hebrew worship so much and saw that God was moving so powerfully. So they told our youth team to just continue worshipping. We worshipped together in unity for an hour and a half in both Hebrew and English before Heidi came up and shared. Then she and her team prayed over the youth. Many of them, including young soldiers [completing their compulsory national service], were very touched. It was a very intimate, powerful time and we thank God for it! PRAY | God is raising up and preparing the next generation of Believers to be powerful tools for His Kingdom in Israel and Your People My People is excited to be partnering with DOR HABA as they prepare a new generation of Priests, Psalmists, Intercessors and Prophets! 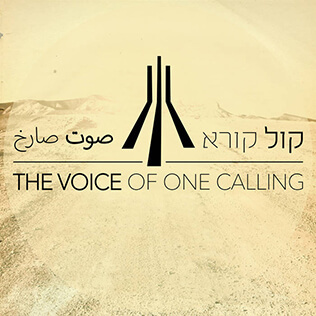 The DOR HABA team have recorded some of their songs in this beautiful fusion of Hebrew and Arabic worship. Catchy middle eastern rhythms and high quality recordings make this a really special CD. The pack includes a lyric booklet in Hebrew and Arabic with English translation. 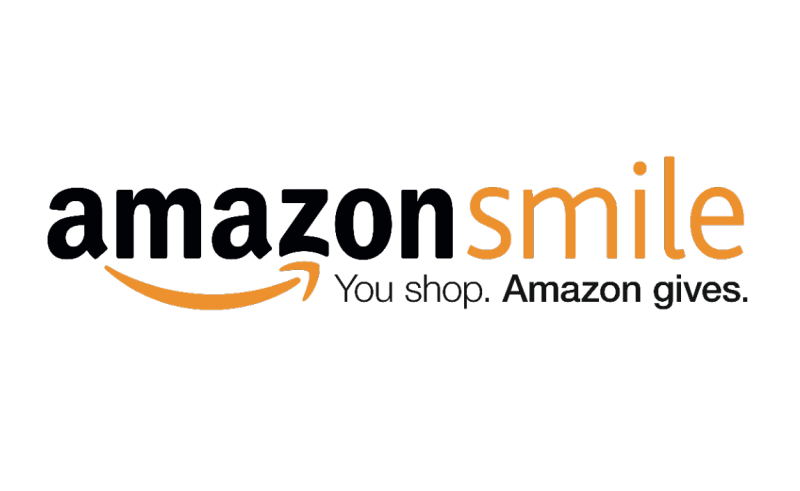 We have a limited number available for £10 - proceeds support the work of DOR HABA.